It was a beautiful day, perfect for some yard work. We pulled out the mower and trimmers. 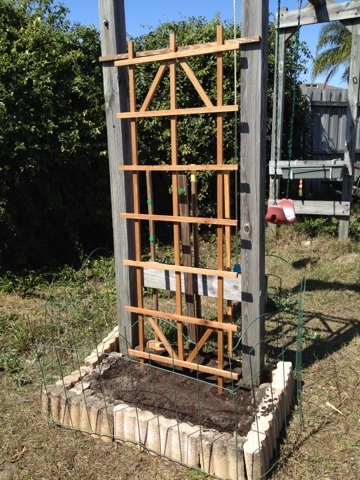 While at it, we prepared for the forthcoming hop rhizomes by building a trellis attached to our swing set in the yard. How well can hops grow in Florida? I guess we'll find out. Included is a small barricade to keep the dogs out.